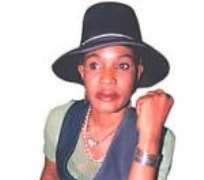 Delta State-born song writer and entertainer, Stella Monye came to limelight in the '80s when she first released her hit album, Oko mi ye, duro timi o. At a time she branched into NGOs and is currently working on an album entitled Outburst. In this interview with Musa Odoshimokhe, she gives reasons for the delay in recording new albums, her social life and lots more. How does your normal day start? Just like we have season for everything, so also I want to attribute my life as an entertainer. Just like schools have holidays, our lives as entertainers is equally seasonal, depending on what you are doing at a point in time. Right now, I have a new album that I am working on. I am doing the shooting of the video clips, I have so much doing at the moment in order to prepare for the public presentation of the album. Right now, my normal day is not normal. When you said right now your normal day is not normal, how do you mean? Well, the fact that I have got so many things doing make it not normal. Like family problems; may be my mother want to see me for one thing or the other. I have to combine that with all other problems that I have. I have a home that I run, I have pressure here and there including my career. It is not easy to manage one's career and add domestic issue to it but somehow one has to move on. For quite a long time now you have not come out with an album, why has it taken so long to produce one or did you call it quit at any point? The industry itself has a problem and not just me. I have enough creativity, I am a good song writer, so there is no way a good song writer like me can quit working unless something is wrong. Apart from my son's accident that slowed me down a bit, the industry already had a problem before those things happened. We don't have record companies any more. They are no longer coming in like we used to have in the past. What we have now are the individual god-fathers who just pick up an artiste and put him there. Some of these god-fathers don't want to work with established artiste because they believe that they won't be able to come to term or agreement. They just go and pick up and coming artistes, those ones who are desperate to be heard. And because they are desperate to be heard they accept any kind of deal with the god-fathers. So, I think that is one of the reasons. You and also see that a lot of artistes now have their own recording label. Its not easy to have a label as an artiste because it required a lot of leg work. Again we have another section now in the music industry, the Alaba boys. The Alaba boys either buy your songs out rightly or come into some deal with you. They are direct marketers now. So, instead of going through record companies, these days you go straight to the Alaba boys who believe in money-for-hand back-for-ground, and the deal is sealed. If you are lucky, you reap but if you are not lucky they take your song and pirate it. At the end of the day you don't get anything. So, the problem is there and its huge but you have to go on. If you are a soldier and the salary you get is not enough but because you believe in what you are doing, then you continue to be a soldier. Sometimes its not worth the trouble but because you love what you are doing, you go on until it gets better. Are these the reasons why you have not released an album for so long? There are so many reasons. Like I said, apart from my son's accident which slowed me down because I had to look after him and I also went off to work for an NGO after my son's accident. It was a good thing, I wanted to do Nigeria service. I thought that was a way I could look into other peoples' problems, so I teamed up with another foundation and I worked there for three years, after three years I said okay because I had a lot of pressure from my fans. Each time I go out, people are like 'ah you have to do something for us, you can't just quit music. We can't stop hearing you.' I was really touched by such comment, it makes me feel wanted. It makes me feel that I still have people out there who need my services. I went back to the studio and recorded an album titled Outburst. The first public presentation of the album will be in April. What is the message from the album? Well, the album is not talking about anything other than the fact that every tract in the album is an outburst. There is one wonderful tract among them that I like called Eleefe. It is talking about the man who is not serious, at the end of the day he promises everything, at the end he delivered nothing after he had got there. It is just one of those things. You can say anything through music and I see it has a huge creativity. There are other tracts in the album which are also very fantastic. I equally have some of my old songs remixed in the album. This is because a lot of people complain that they cannot get my old album to buy. I said okay I will put some in this, so that when you pick the new album, you have the element of old and new. It is a comprehensive thing. For three years you went into the NGO to help humanity, how was your experience? It was really a beautiful experience, it was a lovely one and has opened my eyes to lot of things that I so desired. Touching other people's lives is the best thing that can happen to anyone. It has taught me to always give, even if I did not have the habit of giving before. When I mean a habit of giving, these days when I meet anybody on my way, whether the person is telling lies or not but asking for my help and I have it, I would just give. I believe there is joy in giving. The three years I went into NGO I was able to do a lot of things. I used music to do a lot of things as well. All the human right activities we went for I used music, so it gave me lot of fulfillment and new direction. That is not to say I have quit the NGO but it is just that I am not going to pay much attention to it like I did in the past. I want to come out with an album so that I can become relevant once more in the music industry. I must also say that I just founded a new NGO called Women Help Initiatives. All the things we want to do will unfold eventually. You appear to be a good mixer, what do you make of this? I don't think I am a good mixer. I don't think so, because if you put on your television, you will never find me in any event. I have not really been the out-going type. I am always at home, I spend a lot of time at home when I am not working. When I am not working you won't find me anywhere. So I am not really social as such. Sometimes when the pressure from friends mount, I could go to a club and I like to go to karaoke because that also has to do with my job because I could do a lot of things there and still catch my fun. Anything outside my job will not give me fun and will not give me fulfillment. If that is the case, what is your relationship with the male folk? I do have friends. I have friends that come around and say 'Stella today oh, I will take you out. What are you doing why are you always at home?'. Sometimes I obliged but sometime I don't. I don't make it a point to go out. I don't tell myself that it is a do-or- die affair that I must go out. I find it very difficult to always go out, I am very reluctant to go out. What are the lessons from your upbringing particularly when it comes to discipline? My daddy was very hard on me but I have come to realise that being hard does not help the children. Dialogue is the best approach in bringing up children because, my son for instance, I can't remember when I touch him with by bare hands on him when it comes to discipline. I can't remember ever laying my hands on him, yet he is a well- behaved boy. My son's character is excellent, I am not just praising him. And to think I single handedly brought him up without any man and yet I have the best result then I think dialogue is the best. All the flogging, beating and punching are heartless and do not help. It only hardens the child, all the time my daddy was doing that to me I did rebel, revolt and explode. I would say you want it the hard way let go the hard way. I would take off from home and won't come back home. And because my son is not afraid of me, he comes to me and tells me everything that somebody cannot tell his mother because he knows that I will always advise him, I will never flog him. Sometimes when he is not in good mood he would come to me and say mum I am not in the best mood. When I ask him why? He would tell me reason why he is not in good mood. Then I begin to counsel him. So when you have that kind of freedom you will not have problem. That is what people don't know, it worked for me. So it is better to discuss with children rather than flogging or inflicting other forms of corporal punishment. I used to let my son understand that he need to work hard as a man to earn the respect of any woman that admire him out there. That the moment he cannot provide her need, the respect will not be accorded him. 'So you have to work hard, read your book well and get set for the challenges of life. I am already living my own life, I had carved out a niche for myself, you have to find your own path, you don't have to wait for me'. And because of that he has become very independent. We talk like friends, we don't relate like mother and child. He comes to me and talk to me like a friend. Sometime when I am in a good mood and probably not attending to him properly he would tell me to change my mood or he would also change his to bad mood, we would laugh over it and move on. Could you recall an instance when your daddy was hard on you? There was a day my father was trying to flog me then he made a mistake, the stick went into his eyes. He was almost blinded, he had one of his eyes blocked for a long time while he was undergoing treatment at LUTH. You see, things just don't work that way, the children will become afraid of you and would run away. I am having one experience now in my house. I have a niece who had been staying with me in the past 12 years. I took her in when she was two years and then I started training her. And now the parents have the urge to take her but she refused to go with them, why? Because of the way I handled her, because of the way I dialogue with children. The parents are kicking they are getting angry and are saying by force she must come back home. I told them that by their action they are scaring the child, she equally believed that they will kill her if she follow them. In those days when my parent did things like that I used to run away to my cousins and would tell them that I would never go back to that house because they wanted to kill me. Looking at the Nigerian women, have they been fairly treated? People have said so many things about women. The women thing is all over the world and its not just in Africa. People are really getting it wrong and I want to refer to the Bible, when God created Adam and Eve, according to the Bible, God took the man's rib to make up the woman because God believe that the man needs help. If we start to take our inspiration from there we won't have any problem. If we assume our position as women I don't think we would have problem. If men too allow women to assume their position as women, this whole confusion that is being made would not arise. Some men would sit down at home and allow their wives to go and work to feed them, what do you now expect? So the women became empowered and then turn around and say 'okay, if I can take care of the problem, then what makes you superior to me? What makes you the head here because in some homes the women are the head. And that is not what the Lord said, God said women shall be the helpmate. He created man first and said 'oh let me look for something nice to calm the man down, so whatever happened and no matter the way you want to look at it, we are just helpmates. If you are able to use your position as helpmate to enhance the man's life so that the man can enhance you, then it's beautiful and not to use that position as helpmate to come and become head. What a woman should do is to use her position as helpmate to enhance the man so that the man can use his position as the head to care for the woman. So I don't know why people should misunderstand it so much. You have made reference to the Bible, where do you worship? No, it has nothing to do with that, the Bible is the master that was inspired and was written according to what happened. The thing is that everybody is practising from this book all over the world and the best in life is not tell yourself that I know this, I know that. I don't want to know this I don't want to know that, just follow simple instruction. Try to take your inspiration from there and use it as best as you can to go on in life. To tell some body I don't believe in the Bible or the Koran, I am not Hare Krishna or Guru Maharaj Ji. It is not important. What I am saying is for you to ask your self 'is there a supreme personality of God head? Is there anything like that, okay this God what does he want from us? So follow it as best as you can. We are not perfect nobody can be perfect. You may not be able to do all the righteousness, but we can still use the message to guide ourselves. That is what I do, I try not to be too wrong, I may not be correct but I try as much as I can to remain focused. Let's have your educational profile. I went to the normal primary school, the normal secondary school and then I went to the university where I read theatre arts. From there I branched into music. Leave that one, Michael Jackson didn't go to any university. It is not important. Madonna, Diana Ross and others did't go to university and so the emphasis that people lay on it make you look at it that if you don't go to university, you can't become what you want to be. Fela who went to university refused to lay emphasis on it. When he came back from music College in London, he deemphasized school and just went on and he was a great musician and put us on the map of the world. So I am kind of having that kind of orientation about life.